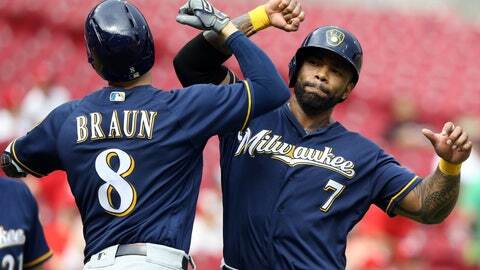 Sunday, July 1: Brewers' Ryan Braun celebrates hitting a two run home run with Eric Thames against the Cincinnati Reds in the ninth inning. Monday, July 2: Milwaukee Brewers center fielder Keon Broxton makes a leaping catch on the deep fly ball hit by Minnesota Twins first baseman Joe Mauer. Monday, July 2: Brewers shortstop Brad Miller celebrates with teammates after drawing a bases-loaded walk-off walk against Twins. 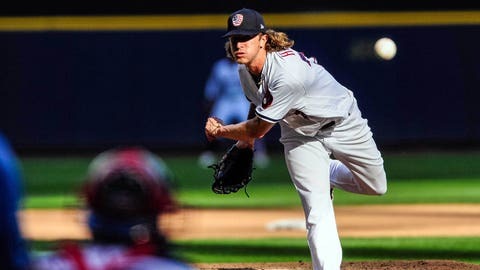 Tuesday, July 3: Milwaukee Brewers pitcher Josh Hader delivers to home plate. Hader fanned two Minnesota Twins hitters in three innings of work. 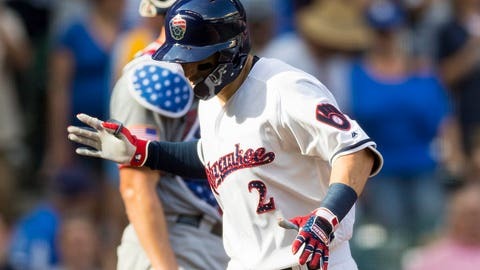 Wednesday, July 4: Brewers shortstop Nate Orf celebrates his first major league hit -- a solo home run against the Twins. Wednesday, July 4: Brewers center fielder Keon Broxton makes a leaping catch to rob a home run away from the Twins. 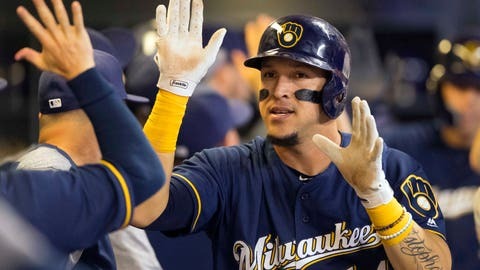 Thursday, July 5: Brewers left fielder Hernan Perez high fives teammates after hitting a home run during the eighth inning against the Atlanta Braves. 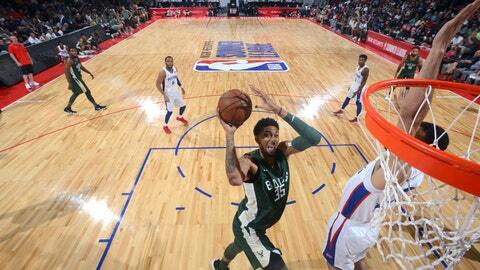 Friday, July 6: Bucks' Christian Wood goes up for a shot against the Denver Nuggets during the Las Vegas Summer League. 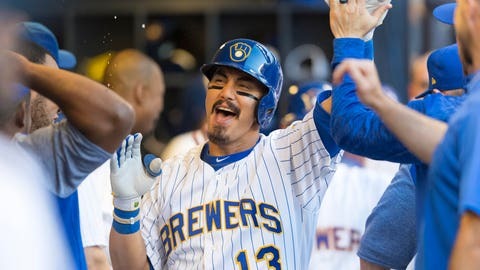 Friday, July 6: Brewers second baseman Tyler Saladino celebrates with teammates in the dugout after hitting a home run against the Atlanta Braves. 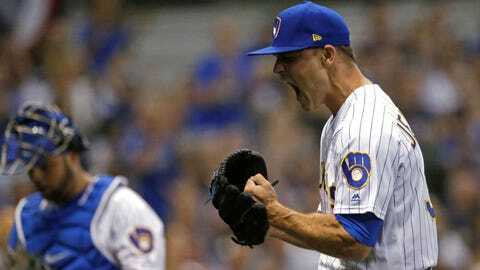 Friday, July 6: Milwaukee pitcher Dan Jennings reacts during the seventh inning against the Atlanta Braves.